Being in the interior design and home décor business, A Shade Above Window Fashions likes to keep on top of current design trends to make sure that we are providing you with the most cutting-edge products on the market. When you shop with us, we will help to update you on one of 2019’s hottest interior design trends: using natural elements to decorate homes in Charlotte, NC. Essentially, natural elements are anything that once originated from nature, especially things that have retained some or most of their organic qualities. To bring natural elements into your interior design means you are focusing on things that are connected with the earth and the natural world. There is a variety of ways to do this, from keeping fresh plants and flowers in your rooms—both beautiful and a way to naturally purify your home’s air supply—to utilizing natural elements in more subtle ways. We are going to tell you about two specific products, available from A Shade Above Window Fashions, that you can bring into your home to harness the beauty of the natural world. It is likely that you have encountered woven wood shades at some point in your life, but you may not have known exactly what they were. At their heart, woven wood shades are like any other window shade, but rather than being woven from cotton or some other material, the “fabric” used for woven wood shades comes directly from nature. 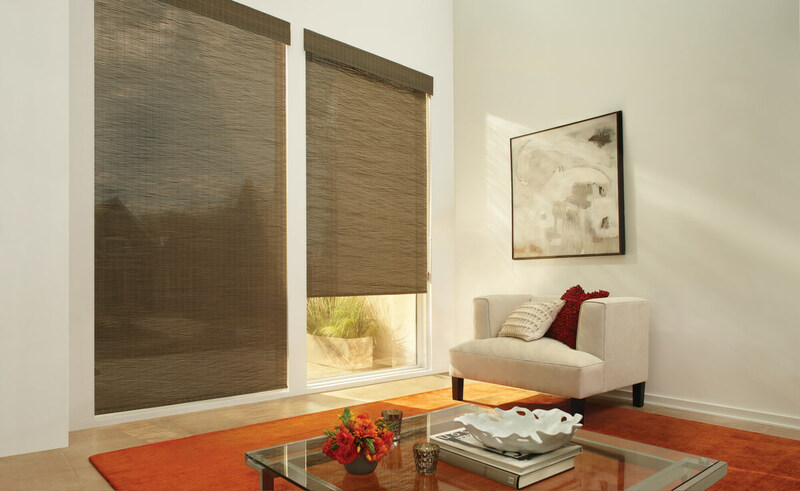 The materials used by Hunter Douglas for their woven wood shades includes naturally sourced reeds, grasses, bamboo, and soft woods, to provide your home with a taste of the wilderness. In addition to being beautiful, woven wood shades also have the added benefit of diffusing natural light, rather than blocking it, and each woven wood shade has a unique weave, resulting in dappled light that makes your home resemble a sunny forest floor. Perhaps the most iconic material from nature that can be brought into your home is wood. Humans have been using wood to enhance our lives for as long as there have been humans, and we have never quite outgrown appreciating the majesty of real wood. If you treat your wooden plantation shutters well, they will last for many years to come. Bringing nature into your home doesn’t have to be difficult. Here at A Shade Above Window Fashions, we want to make beautifying your home easy, so contact us today to learn more about all the ways you can bring natural elements into your Charlotte, NC home. We now have four convenient showrooms for you to visit: two locations in Charlotte, NC; one location in Cornelius, NC; and one location in North Myrtle Beach, SC. We also proudly serve the greater Charlotte area and beyond.